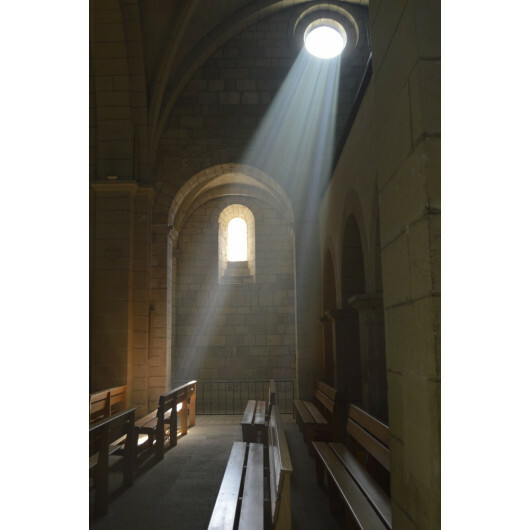 All these art photographs were made in three monasteries in the south of France: Senanque, Aiguebelle, Notre Dame des Neiges in Ardeche. 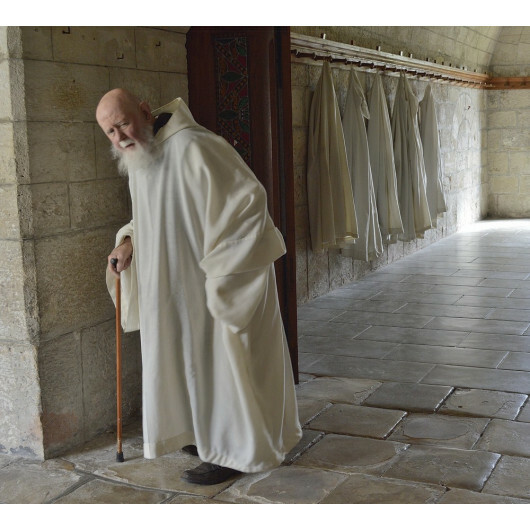 Hubert Barre, Photographer, shows the lives of monks in prayer, solitude, peace, life in God. The echo of a turbulent society, in response to a cloistered and isolated life. A reserved and secret place that is the monastic fence, where the monks live their retired life to carry the world in a living and orderly faith. Signs of prayer and the presence of God. A life punctuated by daily prayers, six times a day, the first being fixed at 3:30 and the last at 20h. This gives the monks time to rest for a few hours. By these acts, the monks carry the world, which is the fruit of the monasteries. They live by their work in the neighborhood, in the shop, and maintain the monastery. They also have deep reading times in a large library. Hubert Barre wanted to show, through these images, the signs of their consecrated life, but also signs of the presence of God in their lives. In their life together, but also in their secret life. Four years of analogical work and digital finalization were needed by Hubert Barre to make these images. 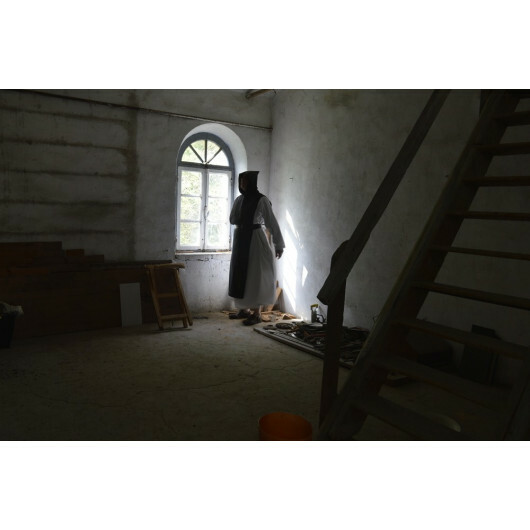 Hubert Barre is a photographer and lives in Aubenas, France. 1985-86 Photographer at the press service of the French armies of Berlin. 1987 Exhibition at the Bournot Center, of a series of images on BERLIN, during the period of the wall. Title of the exhibition "impression of Berlin". 1987 Exhibition of images "impressions of Berlin" at the festival around the world of Blois with Didier Regnier de France2. 1989 St Antoine neighborhood portraits, theme of the exhibition: precariousness. 1st prize for a photo contest of "Le généraliste" magazine. 1990 Great Angle exhibition at Voiron St Antoine. 2010 Exhibition at the 10th week of the communities of Aubenas in Ardèche. 2011 Exhibition at the 13th meeting of cinemas in Europe of Aubenas. Theme of the exhibition: Choreography by dancer Yvan Gascon. 2012 Exhibition "the mark of the times" at the Bournot center in Aubenas. 2012 Exhibition "Breath of clay" Faith and culture festival of the diocese and bishopric of Viviers. 2013 "Water in all these states" exhibition at the Bournot center in Aubenas. 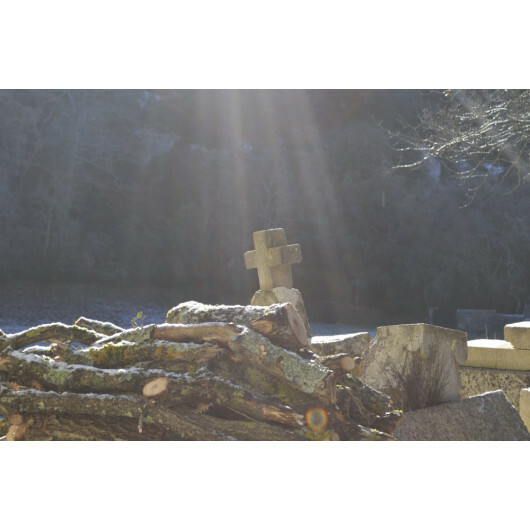 2013 Exhibition "monastic fence" at the Ecomuseum of Chirols in Ardèche.